The late Rashaan Salaam, the former Chicago Bears running back who passed away last year, will have his number retired by Colorado University. The school made the announcement in a press release on Friday. The Buffaloes will retire Salaam's number before the team's homecoming game against California on Oct. 28. In 27 collegiate games, Salaam rushed for 3057 yards and 33 touchdowns, and his 1994 season was one of the best in the history of college football. He rushed for over 2000 yards and 24 touchdowns for the Buffaloes, winning the Heisman Trophy for his efforts. 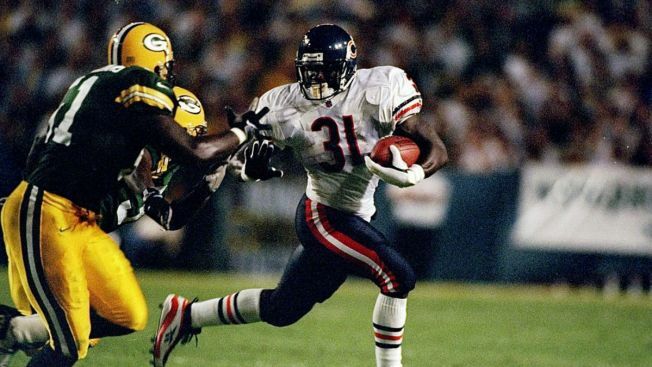 He was taken by the Bears with the 21st pick overall in the 1995 NFL Draft. Salaam passed away in Dec. 2016 in an apparent suicide at the age of 42.